Plush Sherpa Throw Just $19.99! Down From $70! FREE Shipping! You are here: Home / Great Deals / Plush Sherpa Throw Just $19.99! Down From $70! FREE Shipping! 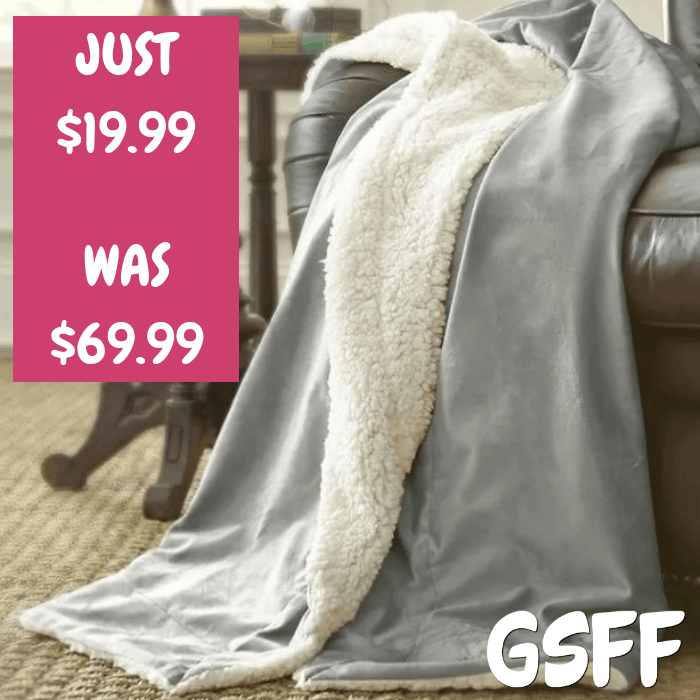 At Jane, you can score this Plush Sherpa Throw for just $19.99 down from $69.99 PLUS FREE shipping! Stay warm at night with the reversible mink to Sherpa throw. This throw features a solid color plush, soft mink fabric to provide you with ultimate softness and comfort. Machine wash cold on gentle, air dry. It’s 100% Microfiber polyester.